Moments of joy, play, adventure that I treasure, captured in time, which hold great meaning for my husband and I. A sign I recently bought “all because two people fell in love” appropriately summarizes this season, after 37 years of marriage. Doug and I recently welcomed two new grandsons into the family, and did what most people do, eagerly waited to see their faces. Sitting side by side we held each one, tightly wrapped in a warm blanket, marveling at the tiny fingers and the innocent eyes that stared back. Taking time to savor each moment it was a picture to me of what I hold deep inside. My heart is drawn to linger longer, holding new life, joy and the beauty of the newborn…not wanting to miss a moment. As the snow falls outside, my heart is more aware of what I hold these days, both good and bad, longing to sit still in more peace. It’s the taste I’ve experienced with these newborns that God is using to draw me back, to gratitude. I can’t avoid the awareness of the treasures that this year has brought me, holding more healing inside of me. My heart is thankful to God for where I am more alive to purpose, gratitude, humbleness and hope. New areas awakening that my heart has not held before. 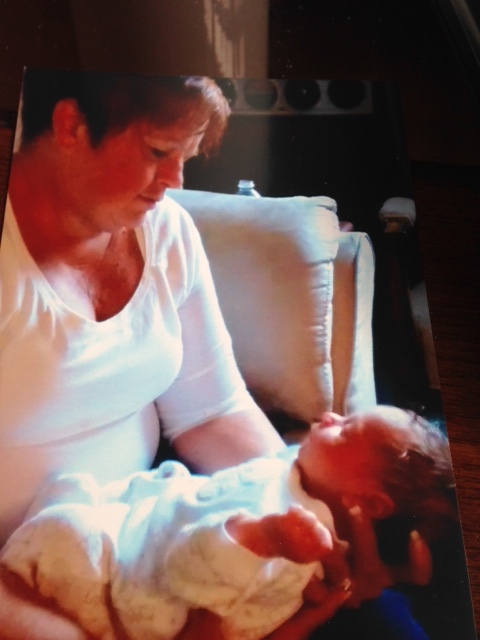 My daughter in law sent me a picture that definitely needs a frame, it’s of me holding Alex when he was 3 days old. The picture resonates with what is going on within my soul; that longing to hold life’s moments with the reverence they deserve; seeing the woman in the picture, me, and blessing the passion she holds. Deb Wood is a mother and wife, who is passionate about mentoring young women towards a true intimate relationship with God & pursuing their dreams. 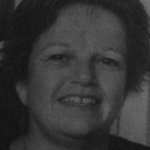 She facilitates small group ministry, in Canada, called Soulcare. Out of what God had done in her life, she desires God to use her story to speak of hope to others. Your words seem to be coming from deep places in your heart…..places you are honoring – holding with gratitude and joy. This is such a treasure to behold…another generation. I hope you have many years to love this child and to give him all the grandmotherly love he deserves from you. You are blessed! Your words speak loudly yet so softly and warm of contentment, and finding your path forward……so lovely. And the photo grasps my heart with wonder, awe. This is one blessed little one to call you Grandma and the legacy you are creating is eternal. So sweet! What a beautiful picture, and even more the words of blessing on what is true of your heart. Your heart is an place of expansive kindness.